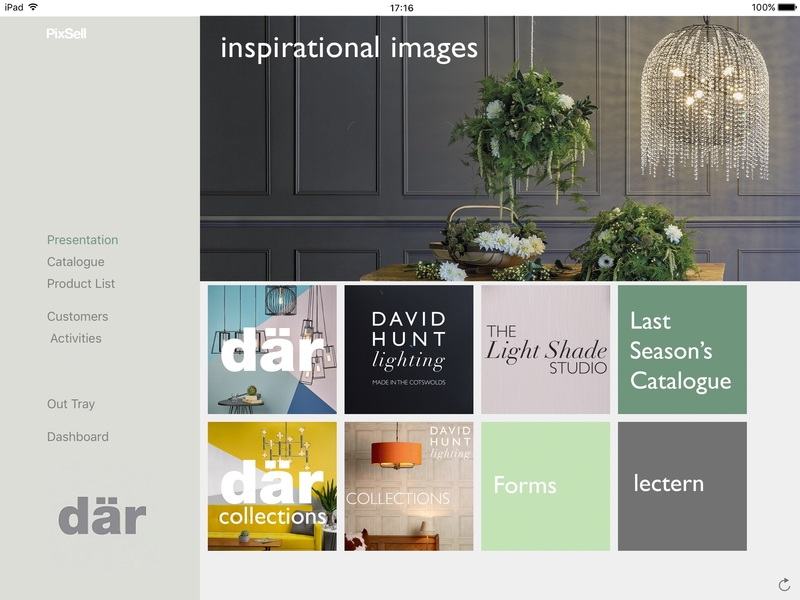 Since launching PixSell iPad ordering in 2015, lighting suppliers Där Lighting are seeing an increase in sales both on the road and at trade exhibitions. At head office, more time is available to spend on communication with customers. Där have a sales team of 9 who use PixSell across the UK. Each rep has access to all customer account history, alongside individual product information and attributes. New products and collections are released twice a year with the items promptly listed on PixSell. Orders captured on the road and at trade shows are now processed on the same day – reducing order turnaround times by an average of 24 hours. At head office, less pressure is being put on the admin team to answer rep queries regarding stock availability and specific pricing, because the reps have all the information they need. Various forms including pricing lists and product brochures are now available to the rep on the iPad, and can be sent to the customer during the call. Information including sales history and buying trends are also visible – allowing for up-sell opportunities. Där reps were struggling to carry multiple product catalogues and order sheets on each sales visit. Extra time would be spent by the rep, going through each catalogue to present individual items. Orders captured in the field and at exhibitions were handwritten and then faxed back to head office to be imported then fulfilled – often with delays. After each order was completed – the rep would give a confirmation sheet to the customer with the products and quantities listed. With hard to decipher handwriting – on occasions, the customer would be unaware of what they have ordered – particularly with newer products. Reps are able to present products and information more efficiently. Där use PDFs and videos for individual collections. New ranges are released twice a year which are easily accessed on PixSell. Customer orders are taken on the spot and sent back to head office for processing on the same day. Order turnaround times have been reduced by 24 hours. Interaction with the customers during visits has improved. 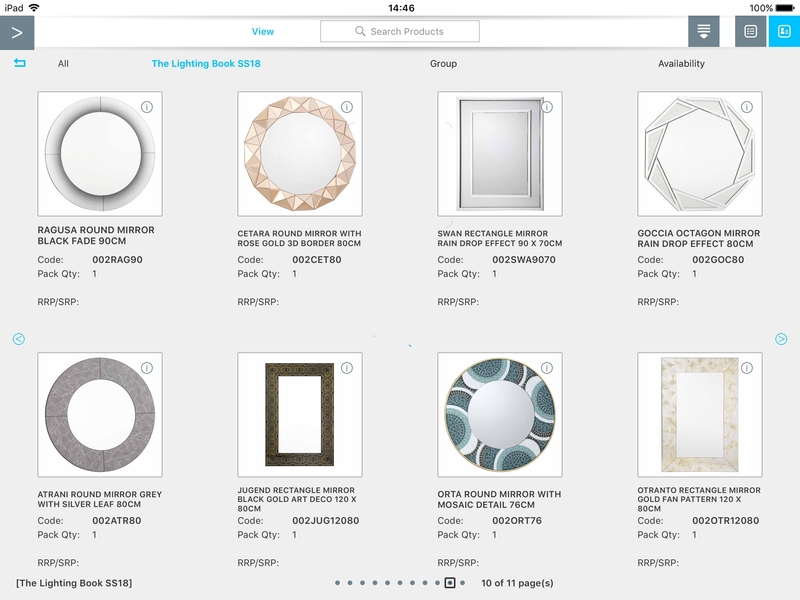 Digital assets – product images and videos – are available on the iPad, making it easier for the rep to present products. PDFs, brochures and order confirmations can be sent to the customer instantly. “The information contained within PixSell gives the reps everything they need to make a sale – and has seen an increase in their productivity. We are able to offer a better service to our customers on the road and at trade exhibitions – eliminating any possible errors. Our customers love how we are able to send them brochures and order confirmations via email instantly – without the rep having to request this from head office.